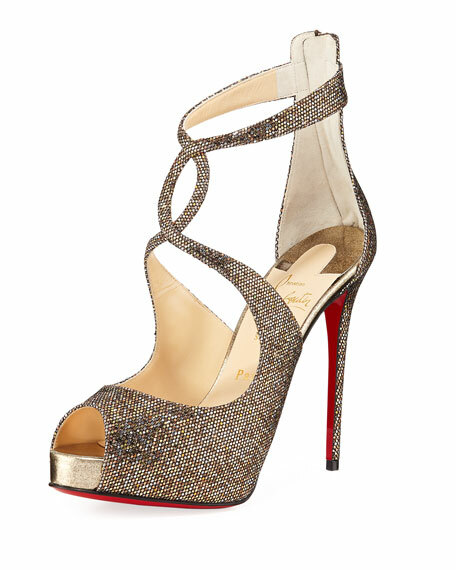 Christian Louboutin "Rosie" glittered sandals. 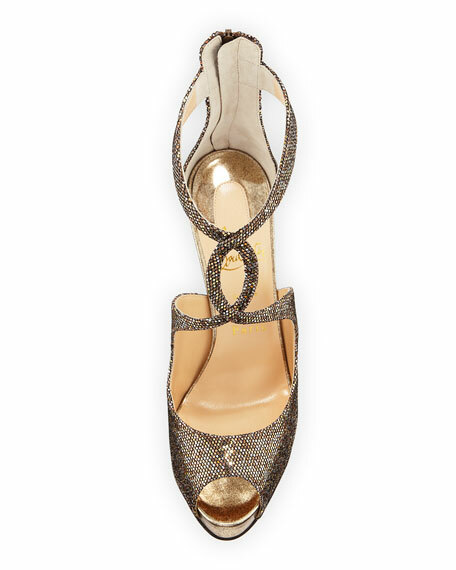 4.8" covered stiletto heel; 1" platform; 3.8" equiv. For in-store inquiries, use sku #2565103.